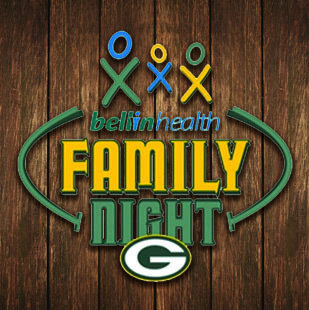 The 16th Annual Packers Family Night, presented by Bellin Health, is taking place on Sunday, July 31st. 1919 Kitchen & Tap will be opening at 11am when the Lambeau Field Atrium opens to ticketed guests only via the American Family Insurance Gate. Please be aware that if you do not have a ticket for Family Night, you will not be able to access the restaurant at any point that day.